Merry Christmas all Jeep Grand Wagoneer Lovers! The Crew at Saving Jeep Grand Wagoneers. Turkey. Gaming Hen. T-Bone Steak. We are grilling T-Bone on the BBQ. Snow or no Snow. Remember to Give Thanks to God. LABikermamma and the Staff at Saving Jeep Grand Wagoneers. Wow! Our Facebook Link Page has 22 friends! Wow! who would have thought that there are 22 friends on Facebook that enjoy "Saving Jeep Grand Wagoneers". We love this "social media" thing. Here is our Facebook Link. Try it out and keep Saving these beauties! Well, we are moving slowing. I talked to an engine repair shop in Tennessee and he sent me to a company outside of Pittsburgh, PA that will rebuild my 5.9L 360 AMC engine for the Jeep Grand Wagoneer. It will cost us less than to re build it ourselves and that encludes the frieght cost. Now to get someone to get the engine out of the car. Still looking. Looking for an old car hauler pull behind trailer. 16ft x 6 ft wide. Double Axile with ramps. I am on a mission to save all the Jeep Grand Wagoneers from the scrapyards. Trannys, Diffs, Interior. Exterior parts. 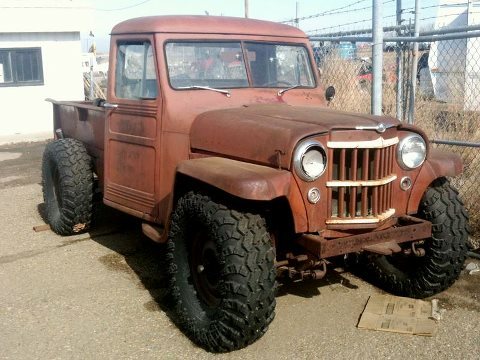 My passion is to restore as many of these Jeeps back to their Grand working order condition. They are well worth the time and effort to restore these beauties. 1969 to 1989. some 1990 and 91 (Only with the Kaiser Grill). 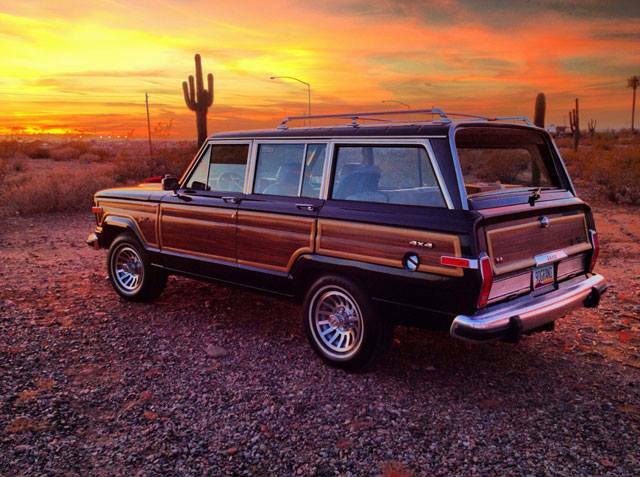 If you do not want your Jeep Grand Wagoneer please contact me asap. DO NOT SCRAP the poor thing. We also include Jeep Commando Trucks with the Wagoneer Grill.